I have a collection of various bones from animals in my studio. Mostly found in the desert or given to me by friends. 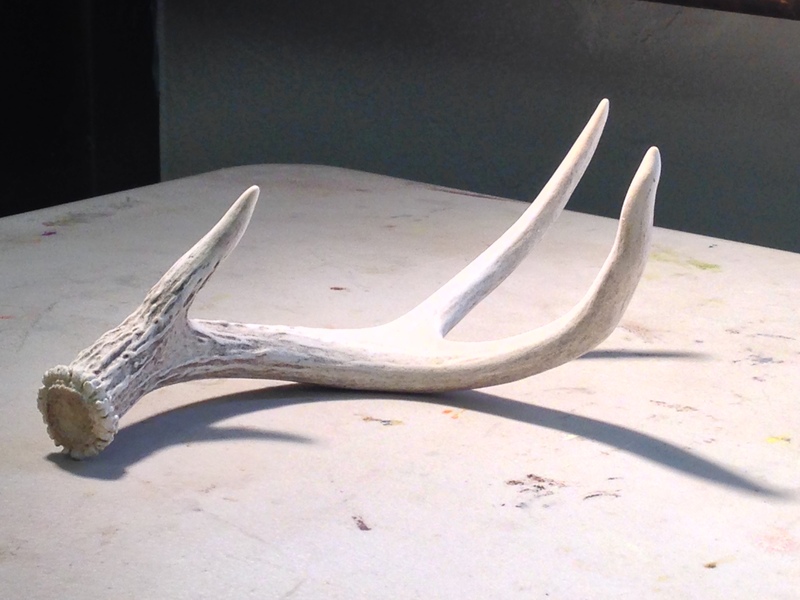 This project is of deer antlers that I found in the desert near Oracle, AZ some years ago. The drawing time is about 1 hour. The supplies used were black, white and sepia charcoal. 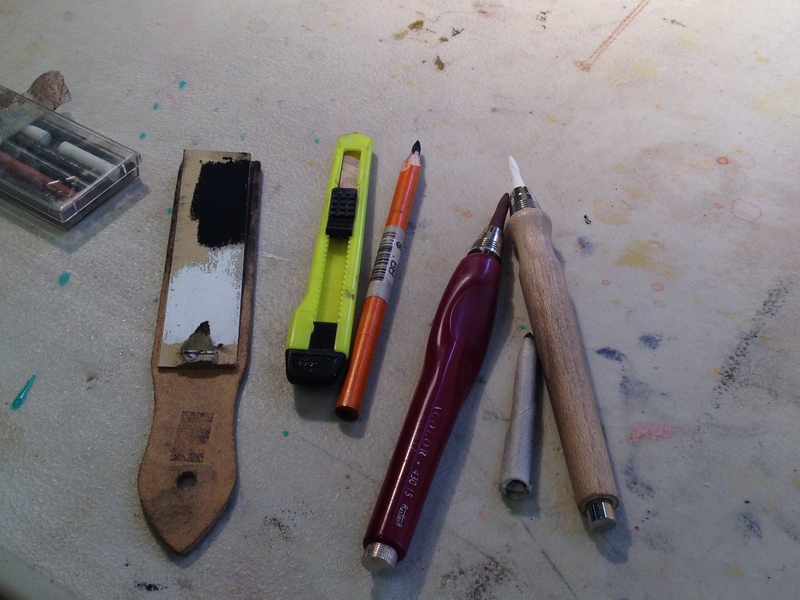 Below you can see also included a sandpaper block, a sharpener, and my black charcoal 4B pencil, and the Cretacolor sepia and white charcoals in pencil holders. An image of the beautiful antlers with a strong spotlight, which creates a distinct cast shadow. I start out by laying down a medium value charcoal “ground” on the Stonehenge paper. 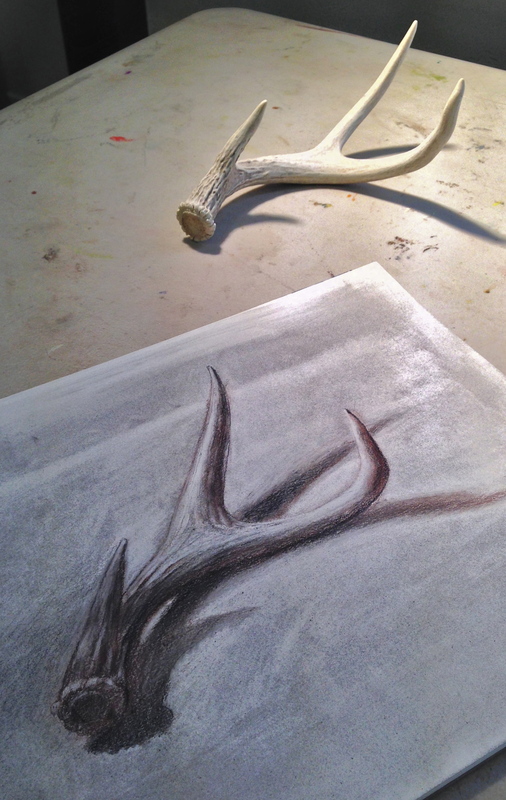 Then a contour line drawing of the antlers is sketched in. 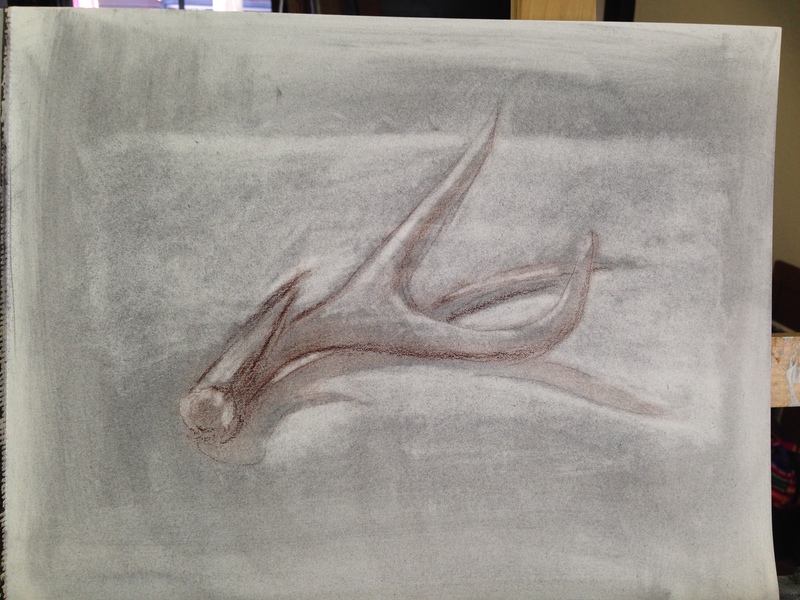 I use the sepia (earth red) stick first, as the middle value (darkness). Sepia contour line drawing. Sepia is used as the middle value. Erasers pull out the light shapes. After I’ve pulled out some of the light shapes with a kneaded eraser, I’m going to create darker values by bringing in the black, and blending with the sepia. 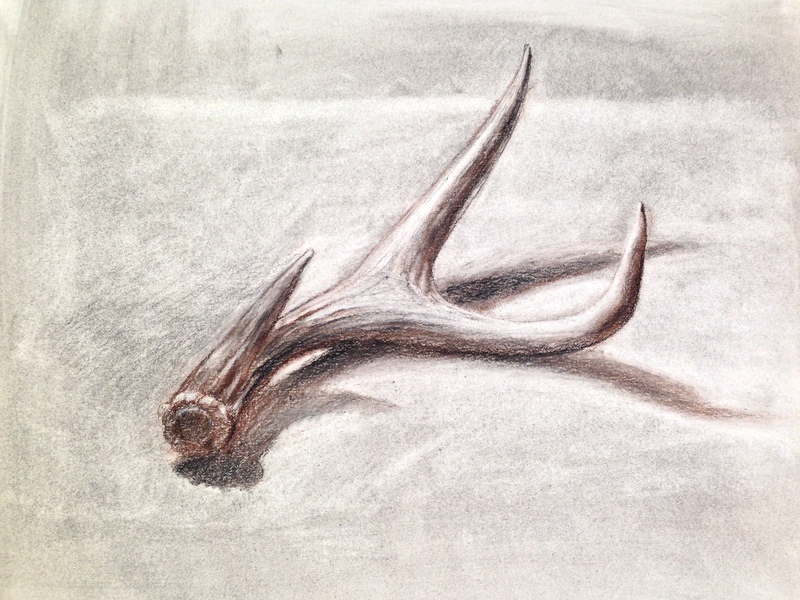 The white charcoal is used to emphasize the highlights on the antlers. A little more detail of the ridges and the beautiful light and dark shapes emerge. I also use a blending stump to smooth out some of the value transitions.